AMMONNEWS - A pipeline to transport $10 billion worth of natural gas over 15 years from Israel’s Leviathan field into Jordan will be completed by the end of 2019, according to the company buying the fuel. Engineers building a 65-km (40-mi) pipeline from Jordan’s border with Israel northward across Mafraq province will finish their work on time to receive first gas from Leviathan at the start of 2020, Abdel Fattah Daradkeh, director general of Jordan’s National Electric Power Co., said in a phone interview. A section of pipeline to move gas from the offshore field through Israel to the border is also under construction, he said. After years of legal and regulatory logjams, the companies developing Leviathan are making significant progress to honor multi-billion-dollar export deals. About 54% of the nearly $4-billion Leviathan project has been completed, the companies said this week. Jordan, with negligible energy resources of its own, would become Israel’s first buyer for gas from the Mediterranean reservoir. Nepco agreed in September 2016 to buy about 3 Bcm of gas per year from the Leviathan partners, under a 15-year contract. That supply, coupled with renewed flows of Egyptian gas in the future, will be enough to meet domestic demand by 2020, Jordan’s Minister of State for Media Affairs and Communications Jumana Ghunaimat said Tuesday in a phone interview. 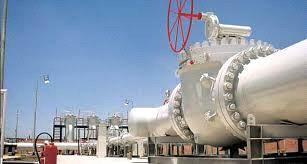 The Israeli government has pushed for gas exports as a way to strengthen economic ties with Arab neighbors. Gas from Israel’s Tamar field has been flowing to Jordan since the beginning of 2017. Jordan imported gas from Egypt until attacks by militants on the Egyptian pipeline network and rising local demand led the North African nation to halt shipments in 2013. Egypt is on track to export gas again since the discovery in 2015 of the mammoth Zohr field. Jordan will start receiving liquefied natural gas from Egypt under a seven-year deal from Jan. 1, Jordanian former Energy Minister Saleh Al-Kharabsheh said in April.